Jerry Seinfeld is most famous for his 90s, cult classic TV sitcom Seinfeld, where he played a fictional version of himself. Little did you know the American comedian, actor, writer, producer and director, owes his success to a simple but effective productivity technique he developed to help him write more and funnier material. The Seinfeld technique is incredibly simple and super effective, all you need is a wall calendar and a big red marker. Here’s why he developed it and how it works. Jerry Seinfeld wanted to be a better comic and to achieve that he needed to create better jokes. He decided the only way to do that was to write every day, to improve his skills and delivery. As he saw it, only time and effort equals reward. "Just keep at it and the chain will grow longer every day. You'll like seeing that chain, especially when you get a few weeks under your belt. Your only job next is to not break the chain." You can use this technique to help you achieve anything whether that be learning a new skill, building a business or completing a project. It works because it’s consistent daily action that builds habits, which in turn creates extraordinary outcomes. This is much more effective than one big push and the repetitive practice helps you to reach expert level much quicker. The only thing you need to remember is “don’t break the chain”. Skipping one day makes it easier to skip the next and before you know it your goal will be out of sight and impossible to achieve. 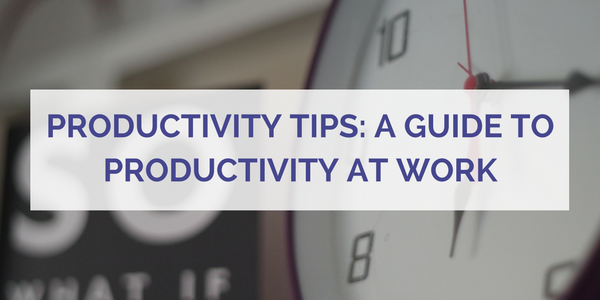 For more productivity techniques, read our recent blog posts. Productivity Tips: "Must, Should, Want"
Real leather furniture is expensive, but it's an investment. It’s durable, stylish and improves with age, but only if you look after it properly. Leather is an incredibly hard-wearing material but should be treated with care. Over the years, it will start to change in appearance. Its colour might become bolder and it may start to develop slight wrinkles, giving it a more distinguished look. However, it is important to attend to it regularly to keep it in the best possible condition. By following the tips in this guide, your leather with stay clean, supple and resistant to cracks and scuffs. Many people use the WRONG cleaning solutions on their leather furniture, reaching for common household cleaning products like furniture polish, washing up liquid or harsh antibacterial sprays. This is not a good idea. All leathers are different and as a result, cleaning products will have varying effects. Some will work fine, while others, particularly those that are bleach based could dry out the leather and cause it to crack. You should buy specialist leather cleaning products and test them on an inconspicuous area of the furniture first, just to make sure it has no negative effect. 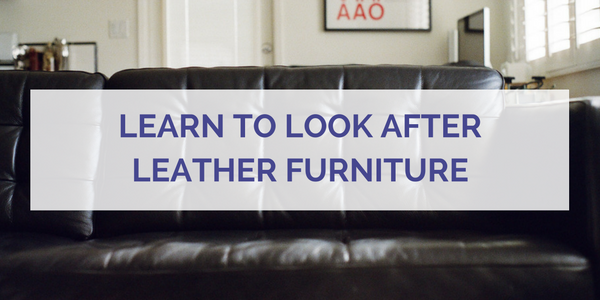 It’s so important to take the time to care for your leather furniture. Leather is a natural product and as such it has a natural lifespan that will be significantly shortened if you fail to give it the proper care and attention. Leather is a hardy material. It’s naturally quite resistant to stains but that doesn’t mean it’s completely invincible. Alcohol, grease, chemical or acidic based spills will all have an effect if not dealt with quickly, so play close attention to fruit juices, wine, greasy food or cleaning product spillages. If a spill does occur, first blot the area to absorb most of the liquid. Then use a wet cloth to wipe the area clean. Grease spots need close attention and may need a specialist cleaner to deal with them properly. Keep your leather furniture free from dust and debris by giving it a regular hoover and dusting. This will avoid dirt from being worked into creases and wrinkles which cause your leather to look drab and worn. Because leather is a natural material made from animal hides, it requires moisturising and conditioning just like our own skin. Regularly applying a leather conditioner will help keep your leather soft and supple and prevent it from drying out. It will also give it an inviting and luxurious appearance. Conditioners can be bought from your local supermarket or DIY shop but olive oil works just as well, plus you’ll always have some in your kitchen so there’s no excuse not to regularly apply it. Keep your furniture covered when it’s not in use, particularly if you are leaving the house for long periods, such as while you are away on holiday. Covering your furniture will protect it from dirt and dust and avoid sun damage, which can dry it out causing cracks over time. You may feel that this tip is a bit over the top, but it really is effective at prolonging the lifespan of your leather. Leather is an expensive material but one that adds a real touch of style to your home. By giving your leather furniture plenty of tender loving care, you will help to preserve it well into the future, keeping it from looking old and tired. Creepy crawlies are a homeowner’s worst nightmare! There are many off the shelf repellents and poisons available but they can be very dangerous to our health and even lethal if accidentally ingested or touched. They can also cause allergies or irritate the skin, eyes, and respiratory system. Household chemicals in pesticides and repellents are also damaging to the environment too! Luckily there are natural alternatives to get rid of bugs and nasties. In this slide share, you can find out how to remove common insect invaders from your home. It's that time of year again when we give our homes an annual deep clean. 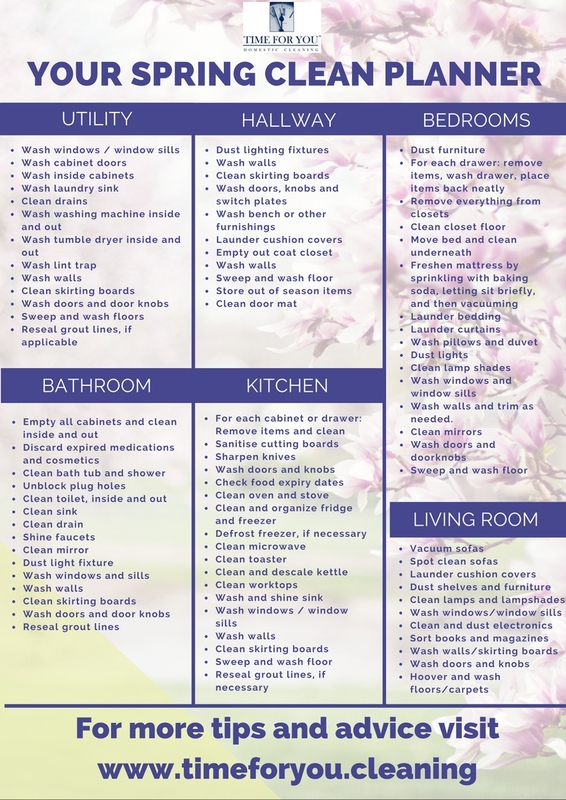 Use our handy planner to help you keep track of your cleaning to-dos. You can download it in PDF format to print, here. 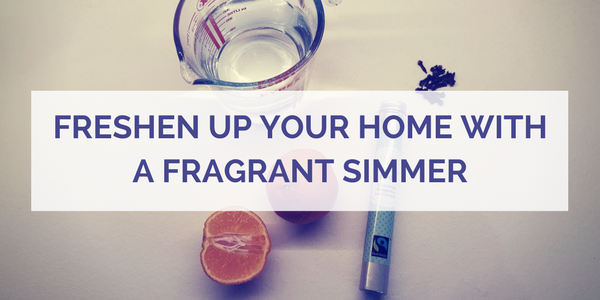 Don’t you just love it when your home smells fresh and fragrant? There’s nothing better than walking in the door to the smell of baking bread or fresh flowers. Off the shelf air fresheners and home odorisers offer an easy solution, but do you ever worry about the chemicals they may contain? 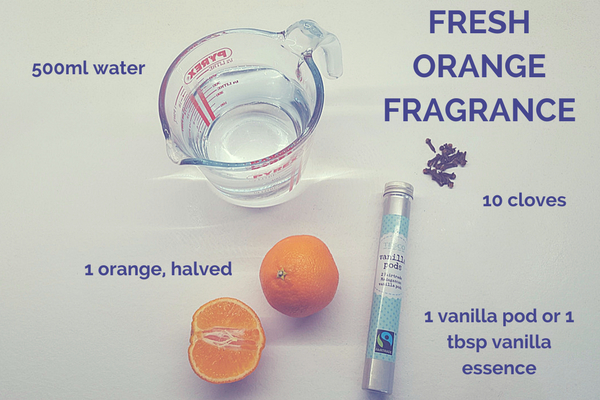 There are plenty of natural alternatives, such as home made diffusers using essential oils or potpourri, but did you know you can make your own beautiful fragrancers using nothing but ingredients from your kitchen and garden and a humble saucepan? Fragrant simmers are so quick and easy to make and leave your home smelling fresh for hours or even days. Recipes can be tailored to the season too, you could try ingredients like lemon and rosemary in the spring or orange and cloves during the festive season. Best of all you, can have some real fun with them and make up your own recipes using any spices, fruits, herbs, flowers or plants you have handy. 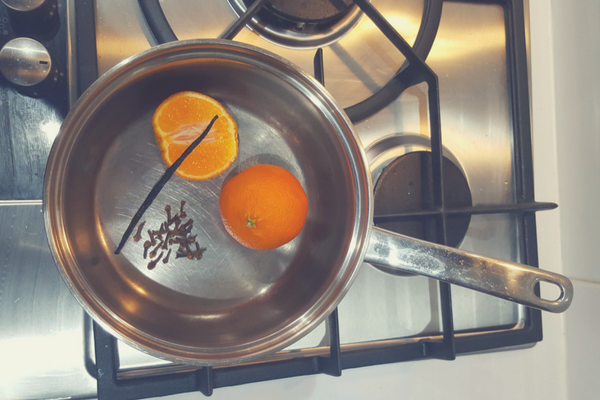 Simply combine a few ingredients in a saucepan, in this case, we are using one orange (halved), a handful of cloves, a vanilla pod and water. Then just bring the pan to the boil, turn down to a simmer and leave for an hour or so, it’s that simple. Just be careful not to let all the water evaporate, as your ingredients will burn and leave a nasty smell, not the pleasant one you are looking for. In today’s society teenagers have lots going on. Whether studying at school, completing home work, attending after school clubs and activities, visiting friends or socialising they often feel like they have a lot on their plate. Couple the stress of school with teenage angst and anxieties and it’s easy to understand why teenagers tend to get in a ‘strop’ when asked to clean their bedrooms – something that earlier on in their life was always done for them. However, as parents we know that keeping a tidy room is much more than just a ‘pointless chore’ and that having a tidy and well organised space to spend your time in can help to bring some balance to daily routine rather than further the chaos. Our children aren’t as likely to see it that way though, so here are some tactics that you can use to encourage them to keep their room tidy. If you aren’t setting a good example yourself then your argument is bound to fall down with an argumentative teenager ready to pick holes. Maintaining a positive and orderly approach to your home will have a positive impact elsewhere and when your teenager strolls up to their messy bedroom through a meticulously tidy and well-kept house they will know that they have some work to do! Even though you probably paid for everything in their room, teenagers can be fiercely protective over their property. Tearing down posters, packing away personal belongings in unfamiliar places and generally intruding can really get their backs up and won’t help solve the problem. Instead try picking out some shelving or a wardrobe that they like, involving them in the process and agreeing at the time where certain items will live. This will mean when you do help clean their room for them they’ll know where everything is. Your teenager should know exactly what is expected of them. Rules like bringing plates down after they have eaten need to be followed, otherwise they will be banned from eating in their bedrooms. 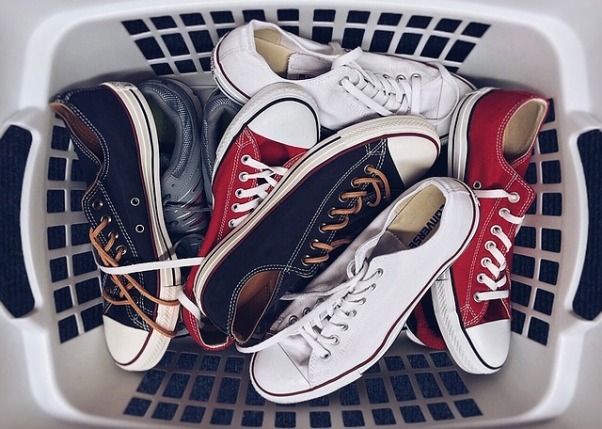 Dirty washing needs to be put in the laundry basket or it won’t be cleaned. Offering money to encourage your teenager to clean their room can work but be careful not to overdo it. If your teenagers share a bedroom then you should make it clear to them that they are both responsible for any mess that you find. They will most likely shift the blame to each other so holding them both to account will encourage them to work together and even split chores between themselves, especially if you threaten to take away both of their pocket money. Do you have any special tactics to encourage your teenager to maintain their bedroom? Tweet us at @TimeForYouGroup and let us know. Recycling is something that we struggle to get our heads around in the UK. In fact recent reports by the BBC claimed that as much as 338,000 tonnes of household waste is rejected annually from recycling facilities. However, in an effort to clear up the confusion over recycling at home, recycling charity WRAP has begun working towards a set of nationally agreed guidelines which clear up any confusion over recycling, offering key advice over what exactly can and can’t be recycled. Here are some key takeaways which might help you to be a better recycler. One of the biggest takeaway’s from WRAP’s guidelines is the importance of presenting your recycling in the right way. For example, did you know that most pizza boxes can usually be recycled but are commonly rejected? The reason for this is that pizza grease binds to the fibres of the box and makes it too difficult to recycle, so it then ends up being rejected when it reaches the recycling centre. Recycling charities are encouraging homeowners to be more mindful of not only what they recycle but also how they recycle in the hope that more household waste ends up being recycled rather than discarded in landfill sites. To get started with recycling you will need to sort your waste according to type and keep it separated. So glass, plastics and metals should all be divided up, while paper and cardboard can normally be kept together. Crush and fold any large boxes, or cut them up to create extra room. Some examples of specific things to avoid include electronics, garden waste, multi-material products like Pringles tubes, foil-card, padded-card, mirrors, plates of glass, paint tins, wires and cables, meat, carpet and cushions. A great way to ensure that your recycling is free of contamination is to wash and squash wherever possible. This means scraping out food, pouring away any leftover liquids, rinsing containers with washing up liquid and generally making sure they are relatively clean. 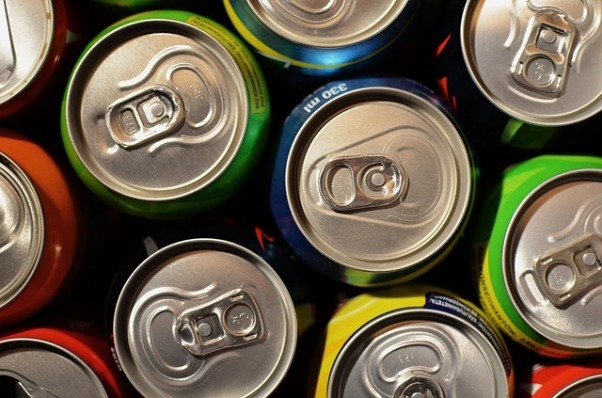 Next you should crush metal cans such as beer and food cans and squeeze plastic bottles to flatten them and expel as much air as you can. The importance of removing labels, caps and lids from bottles and jars really depends on the type of container. With plastic bottles it is very important to throw away plastic caps from bottles in your general waste wherever you can. The reason for this is that the plastic used in caps differs from that of bottles and has a different melting point so can’t be recycled together. However, with glass bottles and jars it’s less important as they are generally crushed and re-washed. The amount of detail that you put into your recycling efforts will depend on how strict your local council is with their rules. You may have bins, bags or boxes to separate your recycling into and this may influence how you prepare your recycling for removal. Click here to read the full guidelines from WRAP which provide clear and easy to understand guidelines over how to recycle your household waste. With workloads becoming more challenging and the working day growing increasingly longer, it’s vitally important to be more productive to help you keep a healthy work-life balance. Whether you work from home or from the office, there are always plenty of distractions which take your eye off the ball. Here’re five simple techniques to help you achieve more in your working day. I have two important questions for you. 1. Do you know how long all your daily tasks take? 2. Do you know which are your most important tasks that you should give more time to? If you know the answers to these questions, then managing your day should be easy. If you don’t then you’ve got a problem, but here’s how to solve it. Record how long each of your daily tasks takes you. You could do this the old-fashioned way or use a tool like Toggl (which is simple and easy to use). Find out how long your tasks are taking you and decide how important each task is to your daily goals. Then, assign yourself a time limit for each task, based on their importance. By doing this you can ensure you are not wasting too much time on tasks with low importance, which in turn, will help you create more time for those important tasks that require more time and energy. Be strict with the time you’re willing to give up for meetings. Some meetings are important and vital to the successful execution of your projects or tasks, however, many companies suffer from meeting overload! You may get sucked into attending a meeting where you are a bystander for much of the agenda, or you may not be needed at all. Before agreeing to attend every meeting you get invited to, ask yourself if it will help you achieve your objectives. If it doesn’t, see if there is another way you can contribute, perhaps by submitting information in advance or attending in a less time-consuming way, perhaps by phone or virtual meeting software. None of us can focus with 100% concentration all day. In fact, attempting to do so is counterproductive. Take short breaks of around five minutes in between heavy going tasks to allow your brain to recover and refocus. Do something light, that you ‘want’ to do, to give your brain the reward it deserves. Regularly rewarding yourself in this way will help you focus more during ‘work’ time. It’s also important to use break times to get away from your desk for a while. Get some exercise by taking a walk around the office, or even better, get outside for a short walk. This will not only help improve your health but help you to clear your head and refocus. One of the biggest causes of lost productivity is the technology designed to help us be more productive! Phones, tablets and computers, with their continuous alerts and notifications can be very distracting. Yes, they can be a help, when we are waiting for an important email or message, but notifications can cause us to quickly lose our focus, resulting in tasks taking much longer than they should. 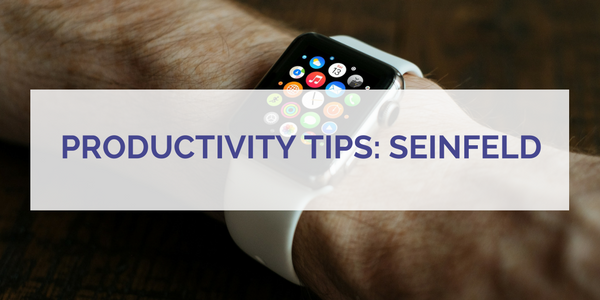 Turn your phone notifications off, shut down your email and devote your time to the completion of your tasks. When you’re finished, you can turn them back on again and address them when you have the time to do so. There are many productivity techniques out there that can really help you improve your efficiency, and we’ve written about quite a few of them here on the Time for You blog. Research a few of them and start to experiment to find out which best suits your working style. Some are incredibly simple, while others are a little more complicated. You may find that you like elements of a few different techniques and create your own strategy. For me, a combination of techniques helps me tackle different tasks and workloads. The Pomodoro technique helps me focus on big tasks that require a lot of brain power, whilst ‘to-do’ list techniques, such as the Eisenhower matrix, helps me to structure my working day or week more efficiently. You can read more about some very effective productivity techniques in the following articles. Most of us own wood furniture in some shape or form. Whether antique or brand new, it's important to understand how to look after it properly to keep it looking at its best. Read our latest infographic for five simple tips to help you preserve your wood furniture. You can also download it to print here. Pets bring much happiness and for many of us, they become part of the family, treated like royalty and allowed to roam across all parts of our homes. The only downside, however, is that they also leave evidence of their presence, which isn’t always as desirable, such as fur, smells or unfortunate accidents. There are plenty of solutions, however, to help you keep your home looking and smelling animal free, so you can enjoy their companionship in comfort. 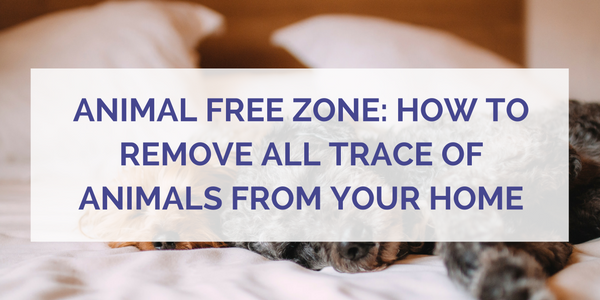 Here’re our top tips to help you remove all trace of pets from your home. The typical solution to removing pet fur from upholstery is the lint roller, which uses static to lift the fur from the fabric. There are some simple household items that can be equally as effective, however. Rubber gloves also work very well. Simply dip your gloved hands in water then wipe across upholstery and you’ll notice the fur collecting on the glove. A handheld vacuum, particularly a brand with high suction qualities like the Dyson V6 is also brilliant for sucking up fur that’s become stuck in nooks and crannies. Carpet fibres make the perfect collection point for all sorts of dirt, dust, grime and animal fur. Rubber brooms create friction and are incredibly effective at loosening and removing fur from carpet fibres. They require some brute force and elbow grease but the hard work is worth it. Another classic household item also comes into its own when it comes to cleaning carpets. Humble baking powder helps to loosen the hairs from fibres when sprinkled over the carpet, making it much easier to vacuum up. It also helps to soak up and neutralise odours. You can boost vacuuming power too by using a special pet hair attachment. Pet fur shows up easily on hard flooring, but removing it is much easier. Micro fibre mops, glide around your flooring, capturing hair using static electricity. Be sure to sweep every corner of your room and along skirting boards, as any drafts or activity in the home can result in fur blowing around and collecting in hidden areas. You may notice hair collecting in the joints of your hardwood. To avoid this, re-seal your flooring regularly to keep those gaps to a minimum. It’s a bit of a headache to do but will save you so much time in the long run. Pet hair on clothing is off-putting and it can also be uncomfortable, causing itching and reactions. Lint rollers are again, very effective at removing obvious cases but sellotape or parcel tape are also very effective. Add a dryer sheet to your tumble dryer to help remove hair clinging to your clothes because of static. Also, make sure that your dryer isn’t too full, to allow fur to collect in the lint trap. Sometimes our pets have a little accident in the house, particularly when they are very young. That can’t be helped and needn’t be a disaster. Accidents on hard flooring are easily dealt with by cleaning up with kitchen paper and washing with your usual antibacterial floor cleaner. • Deal with stains immediately, if you leave them to dry, they may be there indefinitely as the stain will permeate the individual fibres. • If the accident is solid, scrape up as much as you can with an old knife or plastic spatula. • Check the cleaning guide of your carpet or upholstery to make sure any cleaning solutions you use won’t cause damage to the upholstery. Then, spot test a hidden area to make doubly sure. • Start by applying a solution of warm water and washing up liquid, Blot the stain, don’t rub it, as this can result in weakened or damaged fabric. • Use a moist sponge to rinse the area and leave to dry. If the stain is still there repeat the process and then move on to stronger solutions, replacing the washing up liquid with white vinegar or a clear alcohol such as vodka. • If after this approach, the stain is still apparent you may need to reach for an upholstery stain cleaner. There will be many brands available in your local supermarket or DIY shop (but always check that they are suitable for your upholstery). • Wash soft furnishings in the washing machine, in line with the washing instructions. • If your furnishings cannot be washed, baking soda is a great alternative. Sprinkle all over, leave over night to let it absorb the smells, then vacuum in the morning. • Wash floors and carpets regularly with antibacterial cleaning solutions. • Keep an odorizer or scented candle in any area your animal regularly frequents, to keep the air smelling fresh. By following the simple tips in this article your guests will hardly realise you own a pet at all!